© Daniel Kopatsch/Epa-Efe/Shutterstock Herbert Kickl, Austria’s interior minister, speaks at a news conference in July. The raids came without warning, surprising even the intelligence operatives whose job is to never be caught off guard. On the morning of Feb. 28, police stormed offices of Austria’s main domestic intelligence agency and carted off some of the nation’s most sensitive secrets in open crates and plastic bags. Top spy service officials working from home that day were greeted by officers threatening to break down their doors. The extraordinary decision to target the agency responsible for defending the country from a multitude of threats, including right-wing extremism, had been made by the service’s new bosses: members of the far-right Freedom Party. The reason? Defending the totalitarian North Korean regime from an Austrian espionage operation, among others cited in the search warrant. Critics saw absurd pretext for a politically motivated stab at an independent institution that could threaten the party’s agenda. Five months later, the impact continues to ripple across this central European nation of 9 million — and far beyond. [post_ads]In a country whose geopolitical positioning between East and West has long made it a nest of spies — “a playground for all nations” in the words of one Austrian intelligence veteran — the hometown service has been left in disarray. Intelligence services across the West, meanwhile, have looked on in dismay — and have chosen to protect their own secrets by freezing Austria out. But as Austria has shown, those theoretically independent institutions are vulnerable to political meddling — or at least the appearance of it. In the trust-is-everything realm of intelligence work, that raises tricky questions for allies, which must decide whether they can risk continued cooperation. The Freedom Party came to power in Austria at the end of last year as the junior partner in a coalition with the center-right. The party was founded by former SS officers in the 1950s, and has ridden anti-immigrant and anti-Muslim rhetoric to new heights of popularity in recent years. Some of its members have been revealed to share a nostalgia for Hitler’s Third Reich. The party has a formal cooperation agreement with President Vladimir Putin’s United Russia party, and the close ties show. Austria was a notable holdout when European Union nations banded together in March to expel Russian diplomats to protest the poisoning of former double agent Sergei Skripal. 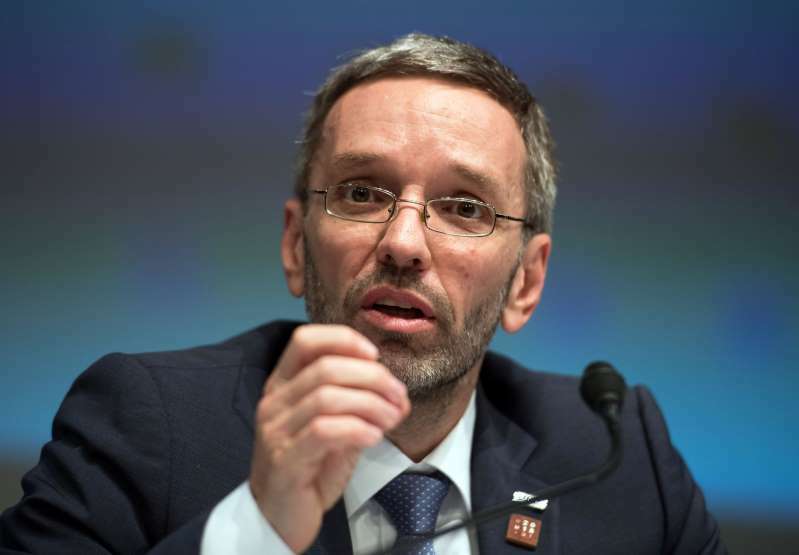 Top Austrian officials, meanwhile, have spoken out against the E.U.’s Russian sanctions. On Saturday, Putin is expected to be a guest of honor when Austria’s foreign minister, the Freedom Party-allied Karin Kneissl, gets married. The Freedom Party had been in government before, in the early 2000s. But this is the first time it has been given control of the highly coveted Interior Ministry, which is responsible for law and order in Austria and is home to the country’s main domestic intelligence agency, known as the BVT. Among the BVT’s work in recent years has been sniffing out Russian influence, notably attempts at election interference. The agency also has tracked Islamist extremists and investigated the activities of violent far-right groups, including Islamophobic and anti-Semitic hate crimes. Much of that work requires cross-border cooperation, especially with European allies. To critics, the raids were nothing less than an attempt to quash intelligence work that ran counter to the party’s interests. The raids, he said, were in line with the rule of law. “It’s time we turn to the facts and leave aside the conspiracy theories,” Kickl said. The victim of the supposed crime? Kim Jong Un’s murderous regime. Several people familiar with the matter said they don’t necessarily agree with the most sinister interpretation of the raid — that the Freedom Party was carrying out a grand plan to seize intelligence and scuttle investigations. But they also said they believe the party was using flimsy pretexts in a clumsy attempt to put its stamp on the agency and install loyalists in top jobs. A number of senior intelligence officials were fired or suspended in the raid’s aftermath. Various reasons were given, including keeping sensitive documents at home. Both the Freedom Party and its partner, the center-right People’s Party of Chancellor Sebastian Kurz, campaigned for office last year vowing to get tough on immigration and crack down on Islamists. So far, however, the government is not paying a price for that possibility. Both parties remain broadly popular, and they have managed to keep the intelligence agency scandal out of the limelight by maintaining their focus on Islam. Deft at public relations, the parties have floated several largely symbolic initiatives, including burqa bans and prohibitions on halal meat. World - U.S. Daily News: Austria’s far-right government ordered a raid on its own intelligence service. Now allies are freezing the country out.